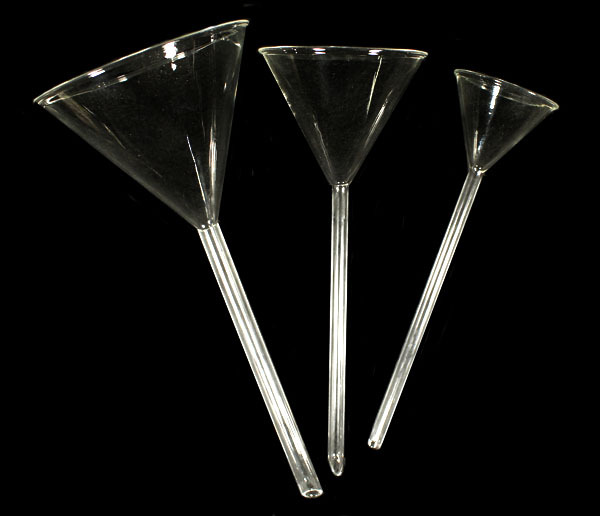 Fabricated from heavy heat resistant Borosilicate glass, our long stem glass funnels are available in 3 sizes: a 2" diameter, 3" diameter or 4" diameter. All have 6" long stems. They can be purchased seperately or in an assortment pack of 3 (make your choice below). See our Laboratory Equipment Page for Filter Paper.